Powerful anti-depressants taken by hundreds of thousands of people could significantly raise the chances of heart disease, scientists have found. Men and women taking tricyclics are 35 per cent more likely to develop a range of cardiac problems, from heart attacks to strokes. They also have a greater chance of needing bypass surgery and other heart operations than those taking different anti-depressants or none at all. 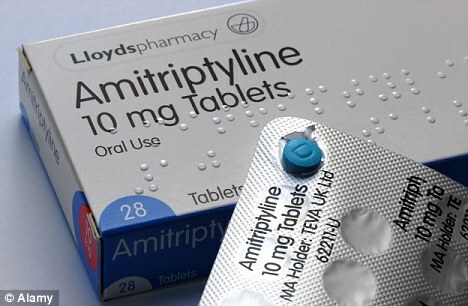 The drugs, such as Amitriptyline and Lofepramine, are taken by 300,000 to 400,000 Britons. As well as depression, they are given to treat migraines, obsessive compulsive disorder, nerve pain and panic attacks. 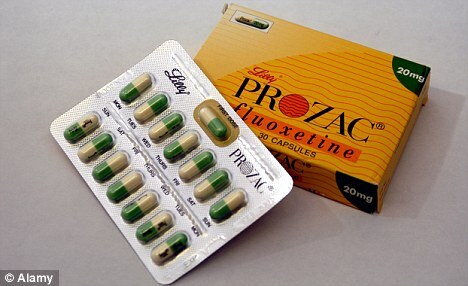 They fell out of favour after the advent of Prozac and other similar pills, but are becoming increasingly popular again as the newer drugs are not suitable for everyone and have been linked to suicide. In the first study to look at the effect of the drugs in large numbers of healthy men and women, researchers tracked almost 15,000 people for an average of eight years. Dr Mark Hamer, one of the researchers from University College London, said: ‘Our study is the first to contain a representative sample of the whole community. ‘The majority of previous work in this area has focused on clinical cardiac patients, so studies in healthy participants are very important. The linking of tricyclics, but not more modern anti-depressants, to heart problems means the effect cannot be explained by depression itself being bad for the heart. Tricyclics are often given to patients when Prozac and other Selective Serotonin Reuptake Inhibitors do not work. SSRIs have been linked to suicide, suicidal thoughts and self-harm. This led to advice in 2004 that they should not be routinely prescribed for mild depression. The following year doctors were advised to not prescribe most SSRIs as a ‘first line’ remedy for depression in teenagers. One tricyclic, Lofepramine, is often given to elderly patients and is thought to have fewer side-effects than others. Professor Tim Kendall, of the Royal College of Psychiatrists, said: ‘There is no side effect-free treatment. ‘Before people run off and take drugs there are quite a lot of safe things they can do to help themselves, like exercise, guided self-help programmes, problem-solving therapies and just getting going. Dr Hamer, whose research is published in the European Heart Journal, stressed that people should not stop taking the drugs without speaking to their GP. He added: ‘People taking the anti-depressants are also more likely to smoke, be overweight and do little or no physical activity. ‘By giving up smoking, losing weight, and becoming more active they can reduce their risk of cardiovascular disease two to three-fold, which largely outweighs the risks of taking the medications. The British Heart Foundation said more research was needed for the link to be confirmed. Despite the guidance about SSRIs, it is claimed that the drugs are massively over-prescribed, with many doctors choosing to hand out tablets rather than condemn patients to a long wait for counselling.